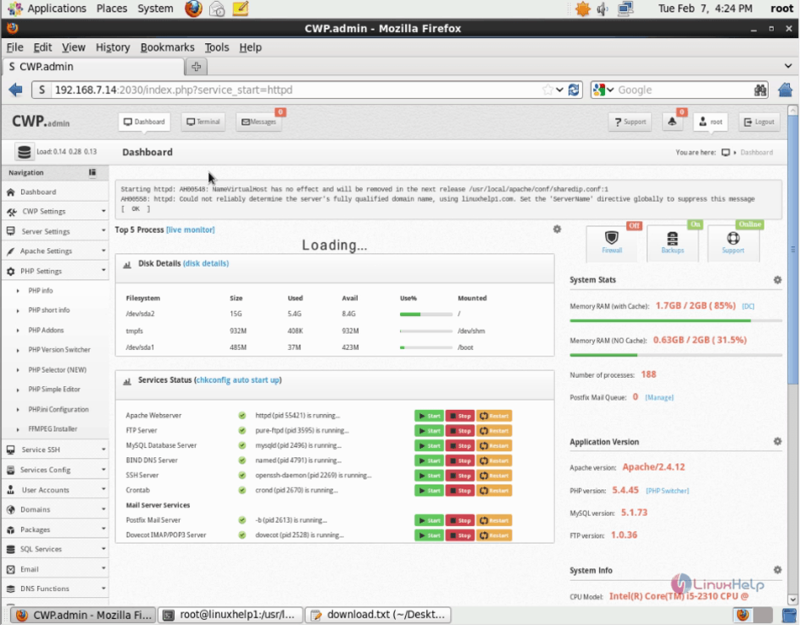 How to update Apache and suPHP Apache module in CentOS Web Panel. suPHP is a tool for executing PHP scripts with owner' s permission. It consists of an Apache module (mod_suphp) and a setuid root binary (suphp) which are utilized by the Apache module to change the uid of the process executing the PHP interpreter. Before updating the Apache service, it is required to stop the apache web server. 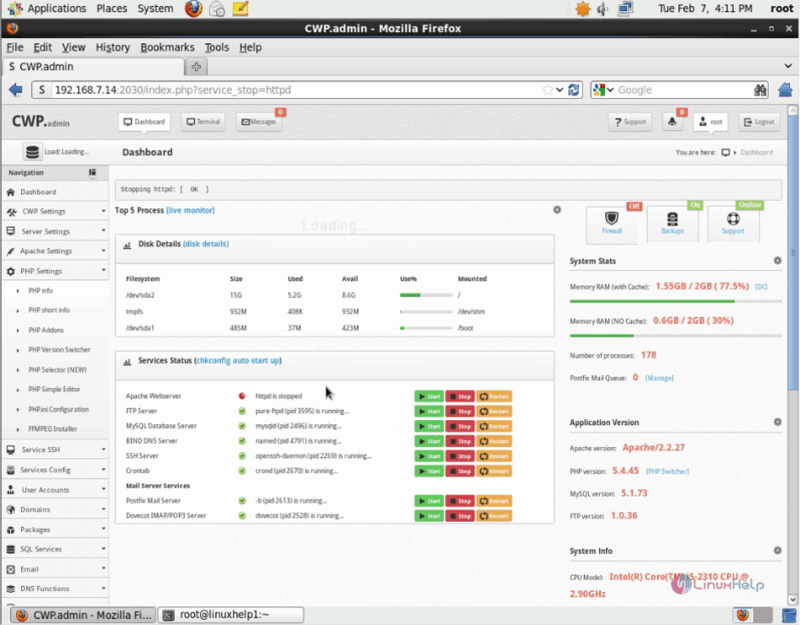 Open the CWP admin to stop the Apache service from the Service Status. Once it is done, use the following command to grant permission to the script file. Now run the script file along with tee command with pipe symbol. You can see the upgrade process using tee command. Apr-Util 1.5.4 installation will begin in 5 seconds..
Apache 2.4.12 installation will begin in 5 seconds..
suPHP 0.7.2 installation will begin in 5 seconds.. 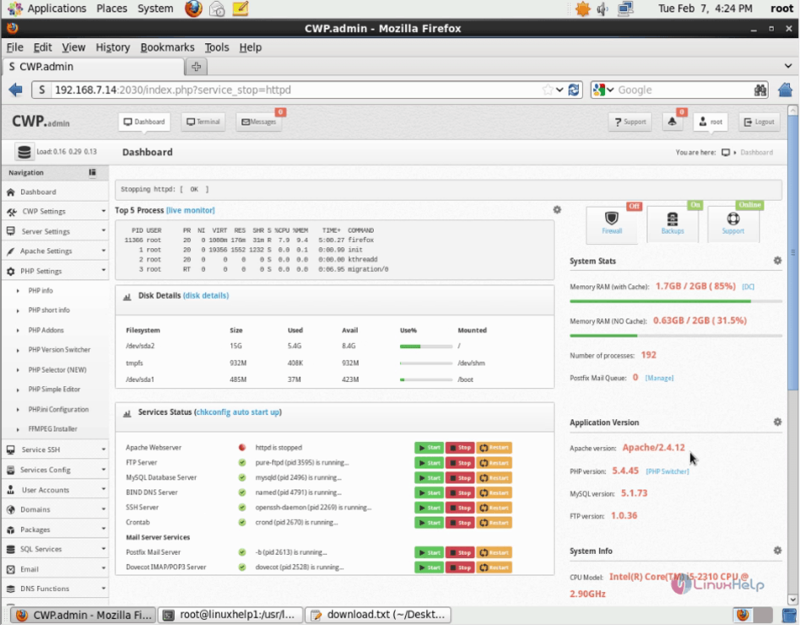 The update process is now completed, once you refresh the CWP admin, you can see the updated apache version. After it gets updated, start the Apache web server. Next enter your IPaddress in a new tab and press enter to check if the newly updated Apache server functions properly. If you are taken to the Apache default index page, your server will be working fine, else a error message will be displayed. Hi, i have updated correctly to apache 2.4. but how i can enable http2 support? 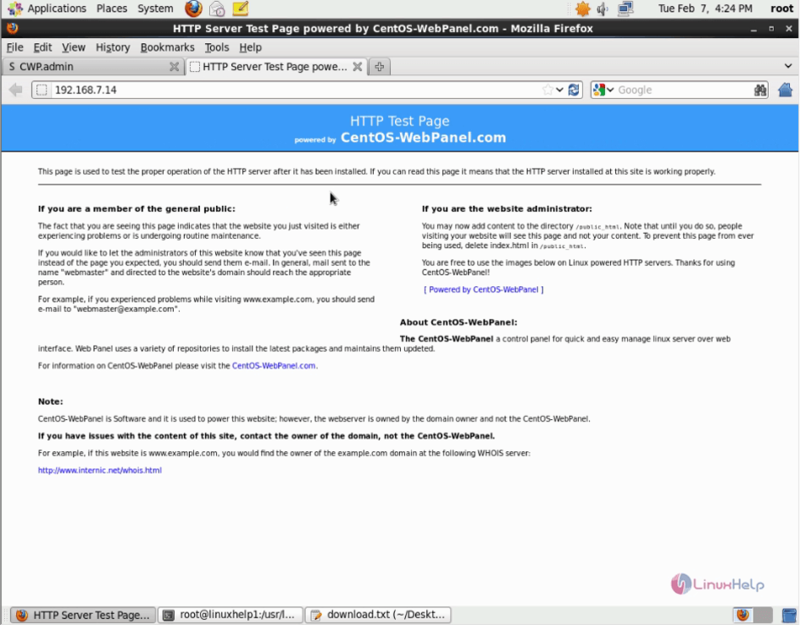 i have added --enable-http2 to configure but seems not enable http2! What is the default Administration credential for "ApacheGUI"? Under htpasswd for svn what type of authentication is used? How to Setup IP Based Virtual Hosting in Linux? We check the IPs attached in your server. Assign a specific IP/Port to get http requests by altering the Listen directive in the file, httpd.conf. What are the types of authentication available in apache web server?